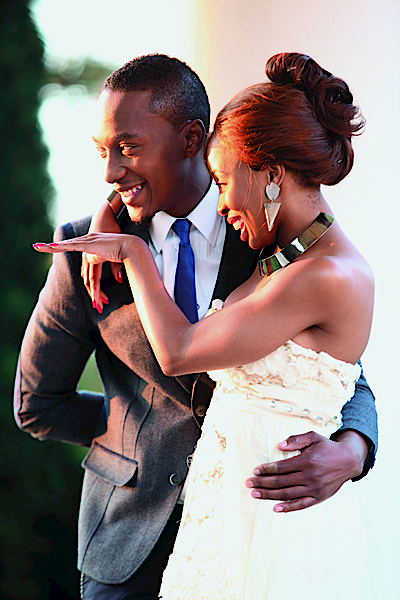 Ii seems Queen of Bling Khanyi Mbau and her beau, singer Tebogo Lerole of Kwela Tebza, are having problems. It appears Khanyi still has a taste for sugar daddies. According to a source close to the couple, Khanyi and Tebogo had broken up for a little while because Tebogo caught her climbing out of a Rolls-Royce outside her Morningside home recently. Our source alleges the trouble started when Khanyi received a call while the couple was out in Soweto. Then she started acting strangely and left. “She said she was rushing to a shoot, but Tebogo became suspicious and followed her. It turned out she was actually meeting up with a certain rich man.” Another source tells DRUM that Tebogo is shacking up with Khanyi at her place and sometimes they even have to share her car. The same source says things haven’t been too rosy since Khanyi went back to Tebogo and dumped the sugar daddy who took her on a trip around the world. Money must be tight –and Khanyi’s not used to that. “After all, when was Khanyi’s last acting gig anyway and how often does Kwela Tebza actually perform?” our source asks. DRUM tried to contact Khanyibut she refused to take our calls as did Tebogo.